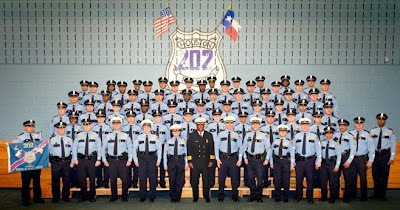 Academy Class 202 graduates tonight at 7:00 pm at the Houston Police Academy located at 17000 Aldine Westfield. They will graduate with 52 strong. Check the blog over the next couple of days for videos of their last day as cadets. Why does 7 of them have white hats and the others black? 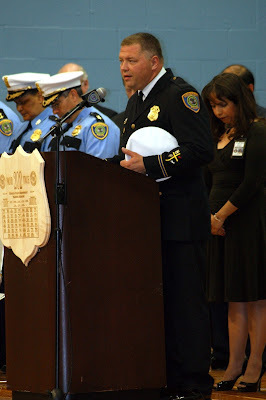 Congrats to class 202. Best of Luck to all. Not all. They lost a few throughout the academy. On average about 4-5 per class. Some realize it's not for them and other's may fail academics or the physical aspect. The training staff will do everything possible to make sure you make it through. This is the best staff in the country. They have passion and a strong since of pride. They do not want you to fail.